Water is the most important things in the world. Enough said. Yes it is. That is the reason why, we all must constantly adding water to our body in order to keep it hydrated at all time. Water is essential for proper circulation in the body. The levels of oxygen in the bloodstream are greater when our body is well hydrated. On top of that, Water can be a miracle cure for many problems such as headaches, fatigue, and much more. Do you know? We can go for weeks without food, but only 3 days without water! Now you know how important to keep yourself hydrate all time. Still, there are many types of water. Which is the best for our body to consume? In Malaysia, it is not advisable to drink the tap water. Hence, we can either buy mineral water or install a water filter at home. Of course, it is much more easier, hassle free, time and money saving to install a water filter at our home. Recently, i’ve came across this Diamond Coral Filter. 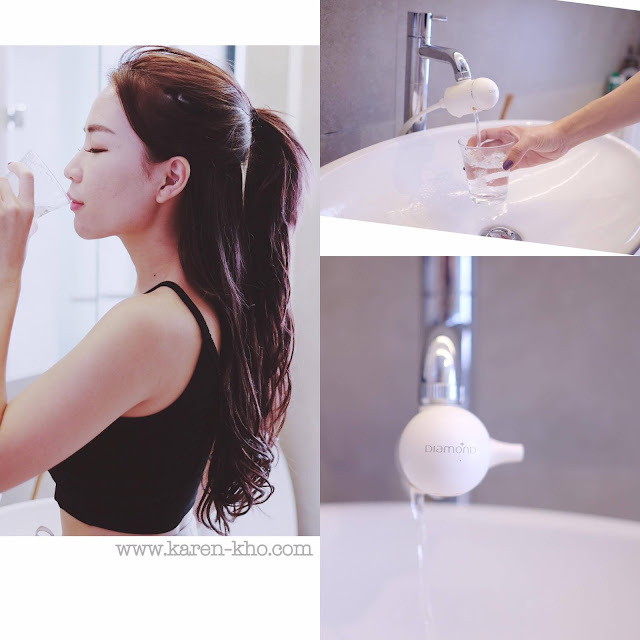 Basically, this filter provides alkaline water which is very beneficial for our body. It is good for our health and also for our skin! The installation is pretty simple. The whole process took less than 1-2 hours. DIAMOND Coral Gold is weight about 8.1kg with the size of 320mm (L) x 223mm (W) x 343 (H). 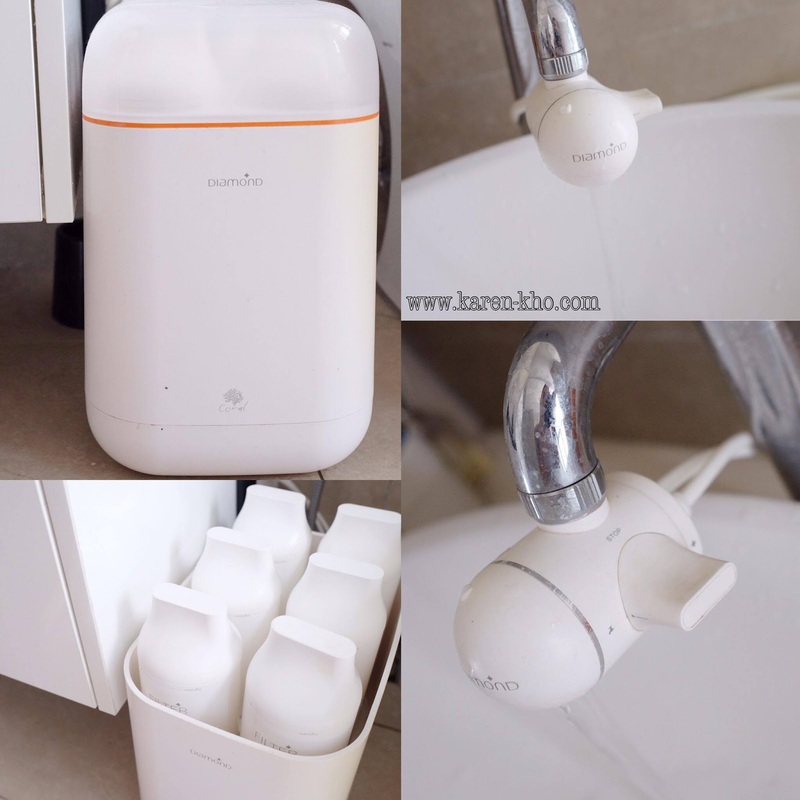 My life is so much easier after having Diamond Coral Filter in my house, no more carrying mineral water from the grocery, no need to boil the tap water. It is more safer to drink. Also, it is more safer to USE. Most of us know the importance of drinking enough water and filtering it to avoid harmful chemicals or contaminants, but did you know that tap water can be just as harmful if we did not filter it? Unfiltered shower water can contain an array of chemicals like chlorine as well as bacteria and fungus. My skin are super sensitive, so having this Diamond Coral actually does help to save my skin as well. Alkaline water acts as an antioxidant inside of the body, therefore, reducing cellular damage and reducing the outward signs of aging. Anyhow, it enter cells faster for enhanced hydration and delivery of nutrients. I really love how my life became easier and better after having Diamond Coral in my home.